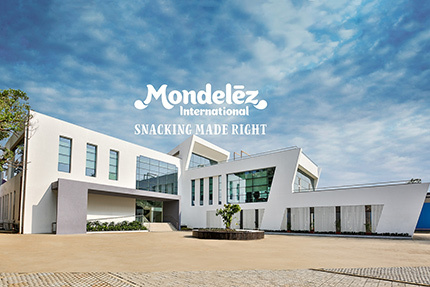 Food major Mondelez International, on Wednesday, inaugurated its US$15 million global research, development and quality technical centre at Thane near Mumbai, stressing on the right snack for the right moment, made the right way. The centre will support new products and technologies for the company's global brands in chocolates and beverages. Focussed on consumer science, packaging and productivity, the centre is part of the company's strategy to invest US$65 million in developing a global network of state-of-the-art technical hubs. The Thane hub is the company’s 10th technical centre around the world. Brusadelli stated, “We will also keep investing in manufacturing and marketing apart from research and development.” He informed that the focus of the R&D centre would be on chocolate and beverages, the other centre for chocolate was in the UK. “India has highest market share for our business globally and it is highest growth market,” he stated. Giving insight into the importance of India as a market, he revealed, “India has some best science and technology for food and beverage business and good consumer base, hence we are investing here.” He stated that the 11th technical centre would be coming up in Mexico.